Mother's Day is just a few days away, and if you're anything like me you probably waited until the last minute to figure out what to get your mom. Our moms spend so much time making sure we have everything we need. Every. Single. Day. So we should definitely make sure that we try to make them feel appreciated as much as we can, and Mother's Day is the perfect opportunity to do so. So if you still haven't found the perfect gift, or you just want to get her something nice without going over budget….here are a few last minute gift ideas to make your mom feel appreciated on this special day. Skin Care - Skin care products are a great way to make you feel relaxed and indulgent. And your mom is MOST deserving of a little relaxation here and there. You can stop by your local Ulta or Sephora this weekend to pick something up just in time for Mother's Day. Flowers - Simple yet effective. Flowers are a wonderful and easy way to show your mom you love her! You can get some great deals on flowers at your local grocery store, or if you really want to wow her you can stop by a nearby florist's shop and get something custom arranged. Painting Classes - Give your mom the chance to express her artistic side! A guided painting class like Painting With a Twist is a great way to treat your mom to a fun night out. Movie Tickets - Treating your mom to a day out at the movie theatre is a great way to make her feel appreciated and entertained. It also gives you the chance to spend some time together and have fun. Jewelry - A necklace or a pair of earrings is a great option for the mom who likes a little bling. And it doesn't have to cost you an arm and a leg. If you don't have enough to spend at a local jewelry store then you can always stop by Target for beautiful yet affordable pieces. Perfume - Everyone loves to smell good, and there are so many different varieties of perfume to appease everyone's unique sense of smell. My mom's favorite is Eternity by Calvin Klein. If you aren't sure what your mom's favorite scent is you can always pop into your local department store and see what smells good to you. Chances are…if you like it, she will too. Chocolate - Who doesn't love chocolate? I don't think much else needs to be said about that….You can get chocolate pretty much anywhere, but Edible Arrangements are always great! Wine - Wine goes along the same lines as chocolate. It's delicious and comes in many different varieties! If your mom doesn't like to indulge in alcohol you can always opt for an alcohol free alternative or even simply, sparkling apple cider. It tastes just as good! 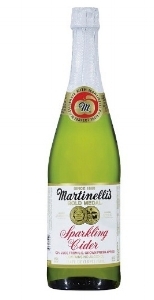 Martinelli's is a great sparkling cider brand (my mom and grandma used to buy this all the time) and it can be found at most local grocery stores. Breakfast in Bed - Our moms spend AT LEAST 18 years making sure that we're well fed and cared for. So why not return the favor. It doesn't have to be expensive or super complicated. No matter how simple it is, it'll be enough to make your mom feel loved. Clothes - Give your mom the gift of fashion! You can always opt for a nice scarf, sweater or even dress from our own Woman's Touch Apparel brand. Treat your mom like the Queen she is with our Queen Royalty Blazer.